Congratulations to CEHW Professor Rebekah Dawson who was recently honored with an Alfred P. Sloan Research Fellowship, a prestigious award given to promising young researchers in the early stages of their careers, in recognition of their research accomplishments. The Alfred P. Sloan Fellowship will fund Dawson’s work on inner solar systems and young disks sculpted by planets. Her work on inner solar systems — planets with orbital periods shorter than Mercury’s — will focus on testing theories requiring non-coplanar configurations of planets and disentangling the contributions of of multiple origins channels to the observed exoplanet population. 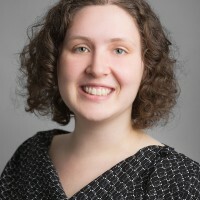 Her work on young disks will focus on interpreting morphological features gravitationally sculpted by planets and connecting the inferred properties of young planetary systems to planetary systems’ subsequent orbital evolution. For more information, see the announcement frmo the Eberly College of Science.